Please feel free to contact us if you have any questions using the form below. We will get back to you within 24 hours (business days). 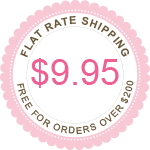 International customers wanting to place an order? Please send us your order and we will email you back within 24 hours (business days) with a shipping quote.